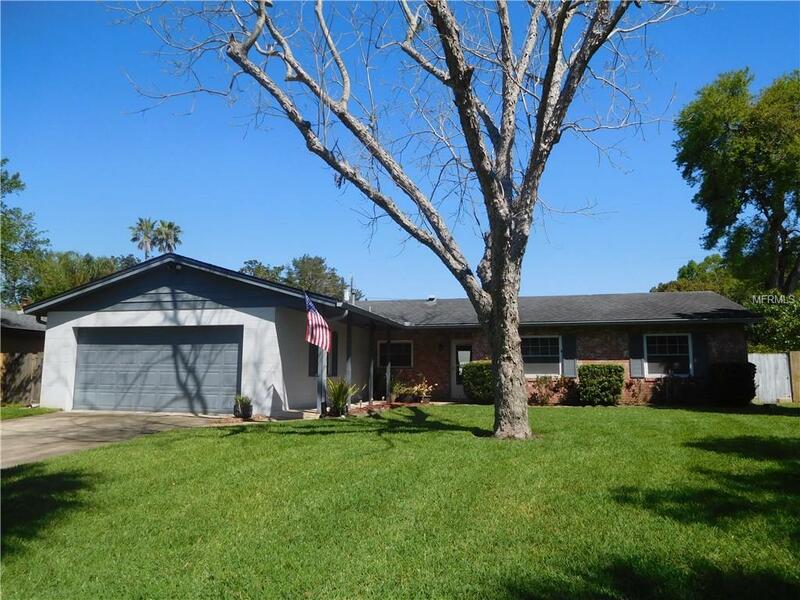 Beautifully updated 3 bedroom 2 bath home has a huge backyard. Kitchen has solid wood cabinets and all appliances. Family room off of the kitchen. Living and dining room are light bright and open. Laminate flooring throughout. Some of the upgrades include new windows, re-plumbed, knock-down ceilings, and insulation in the attic. Oversized two car garage. Enjoy your morning coffee on the covered screened porch overlooking huge backyard with privacy fence. Lushly landscaped yard with irrigation system. Large shed with electricity perfect for workshop or storage. Located close to all major highways. Minutes from hospital and shopping.